Ah, the Canadian promoter of agrotoxins rises to the defense of the destruction wrought on our biodiversity through the process of ‘energy intensive agriculture’, that he seems to be well qualified in defending. He is also rather hypocritical, he states that ‘How can Dr. RS say that earthworms and egrets are hardy against agro-toxins? He should give a quantitative criterion (e.g., the LP50 values/weight) before he rushes to print. Only the Pope can make unsubstantiated ex-cathedra statements’. 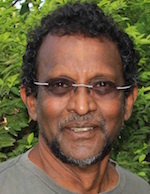 He then goes on to state that; ‘So, while the pesticide load is low, Sri Lanka’s environment, both rural and urban, is full of partially oxidized petroleum, kerosene and diesel residues’. What evidence does he provide that the pesticide load in Sri Lanka is low? This is a totally unsubstantiated ex-cathedra statement. I guess he must see himself as some kind of Chemical Pope, making the unsubstituted statement that the pesticide load in Sri Lanka is low, without any quantitative criterion. I have been examining the biodiversity of this country for over thirty years. Below are some publications, that should be easy for someone in Canada to access. It will be handy to see what publications the Canadian critic has to his credit to justify his pontificating on the issue of biodiversity? 1993 Soil Ecology, Agriculture and the Greenhouse Effect. Australian Jounnal of Soil and water Conservation 6 (1) : 27-30. It looks as if the Canadian Critic is pushing his agenda based of selected references that seem to support his argument, he has nothing that relates to Sri Lanka, yet seeks to trivialize the field experience of Sri Lankans with his abstracted view of selected random publications. Until we the Sri Lankan public, are presented with the published work in terms of agricultural or general biodiversity, published by the promoters of agrotoxins, we should be very cautious of the agenda of those seeking to load our agricultural production with agrotoxins. His twisting of the words of the Rt.Hon. DS Senanayake who spoke to the prevailing economic system and its metrics, to suit his political agenda of criticising ‘organic agriculture’, demonstrates either crass ignorance of what was said or a crafty way to push his own tragic agenda. Either way, it is time that we asked these ‘remote critics’ to come to Sri Lanka, perform the research that supports or repudiates their viewpoint or at least publish a scientific paper from where ever they are, to justify the media campaign that they seem so keen to promote. 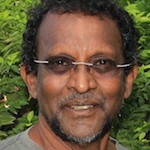 The Canadian critic is not only unqualified to pontificate on such matters, he is also in cahoots with a cabal of people who continue to mislead the authorities in Sri Lanka about the dangers of overusing agrochemicals. On the subject of CKD specifically, this group keeps up the myth that it is caused by geological fluoride and vehemently denies the effect of 30+ years of unbridled (over)use of fertilizers which are well known to contain heavy metals such as cadmium and lead. Chronic exposure to low doses of cadmium and lead is universally known to result in renal damage and failure; there being no necessity to say anything more about this as it is supported by vast numbers of peer-reviewed academic publications. In contrast, there is no shred of evidence that fluoride causes renal damage and eventual failure. Unfortunately for Sri Lanka, the misguided theory that glyphosate was the culprit became a convenient diversion about which much smoke and mirrors prevailed, resulting in a ban of that species, which is known as a potent weedicide and allegedly a potential carcinogen. We look up to scientists to deal in science and not the occult, so it is so sad when this segment of our community spread myths and convenient misstatements, which only play into the hands of the corporate mafia who have no scruples when it comes to human health, as long as it can continue to enrich itself. You can listen to her speeches in ‘you tube’ with all your family participation specially our children………….from Kyoto Protocol in 1992 to date. I met her and Madama Menaga Gandhi (Indian Environmental Minister) in the UK year 2000 when an organisation called ‘Compassions in World Farming (CIWF)’ organised a semenor involving all the environmental ministers around the world titled ‘Farming for the Millennium’ this was just after the mad cow disease and the effect of ill thought through animal farming methodologies challenged basic science/evolution……all for a profit. I had an honer of meeting her in Sri Lanka too in year 2004 (I am not sure the exact year) during seed laws being passed by the GOSL…..she was invited by SL Environmental groups to make their case for a suitable laws being passed by our government such WTO rules are not used to abuse patent rights etc. She was the one who has assisted the GOI in writing appropriate seedless for India too. She is a Quantum physicists and we need similar very strong organisations working regionally together to save guard bio diversity….as she eloquently put it ‘Earth Democracy’ in our spaces.